Bankfoot High Street @ High.St - High Street shops and High St businesses. Large Google map of Bankfoot High St.
Bankfoot is a small village about 6 miles north of Perth and is a popular refreshment stop for those heading to the Highlands, or making their way down the country. 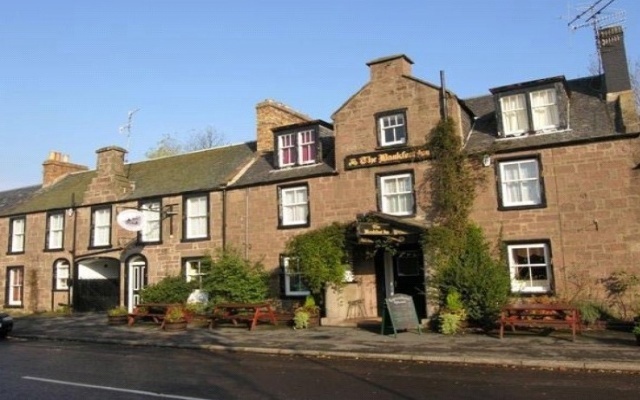 Knowing drivers will venture into the village itself and stop at The Bankfoot Inn, browse Artisan Stained Glass or pick up supplies in the Nisa store. Attractions around Perth include Scone Palace where Macbeth, Robert the Bruce and Charles II were crowned. A lot of events are held in the grounds throughout the year, including falconry displays and the opportunity to meet characters from history. Check out the Scone Palace website for details. Also, the climate and fertile soil in this area have encouraged a number of gardens to spring up and eleven of these Perthshire Gardens are open to the public. www.High.St also has information about the following nearby towns: Auchterarder and Crieff to the West and Pitlochry, Dunkeld and Blairgowrie to the North. Thank you to Rab Wallace for the photo shown above.